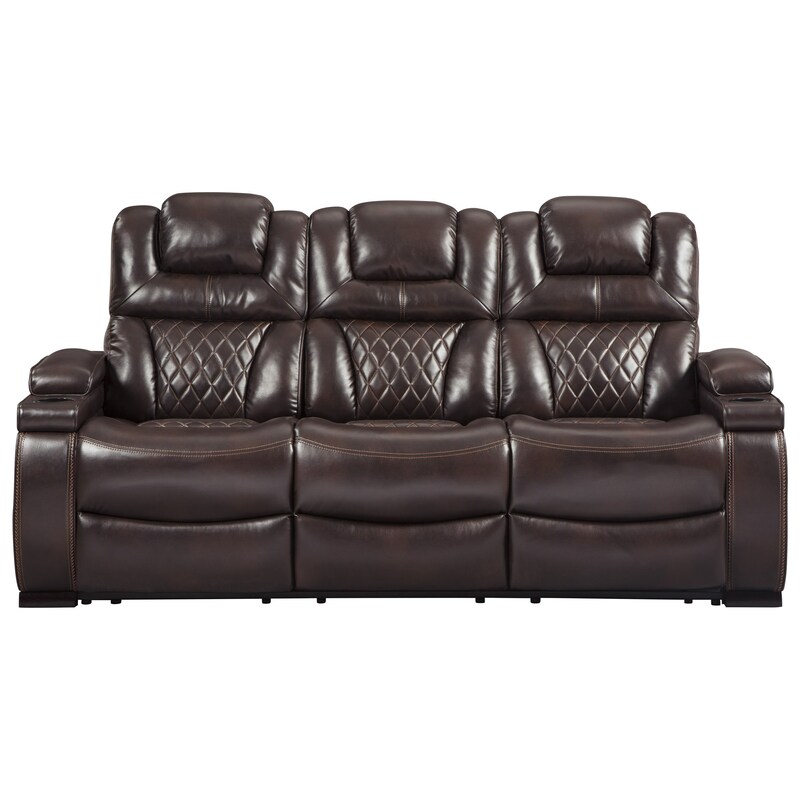 Once you sit in this luxurious power reclining sofa and experience all of its features, you'll never want to get up. One-touch power controls make it extremely easy to achieve your optimal position, while adjustable headrests increase this sofa's comfort capabilities even more. Add in built-in USB ports/power outlets, cup holders, and storage consoles and you have all your needs right next to you. Finally, the piece is draped in a durable and stylish chocolate faux leather for a sophisticated yet casual look. The Warnerton Power Reclining Sofa with Adjustable Headrests by Signature Design by Ashley at Michael's Furniture Warehouse in the San Fernando & Los Angeles area. Product availability may vary. Contact us for the most current availability on this product. The Warnerton collection of power reclining upholstered pieces welcomes you to the 21st century of comfort. The Warnerton collection is a great option if you are looking for Casual furniture in the San Fernando & Los Angeles area. Browse other items in the Warnerton collection from Michael's Furniture Warehouse in the San Fernando & Los Angeles area.